With over 25 years’ experience in the building and construction trade, Ashleigh Contractors enjoys an excellent reputation within the areas of Buckinghamshire, Berkshire and Middlesex. Its reputation is built on years of outstanding quality of work, as well as high levels of professionalism, reliability, honesty, integrity and dependability. Ashleigh Contractors is able to offer high-quality building services and property repairs for both domestic and commercial properties in Marlow, Uxbridge, Gerrards Cross, Wentworth, Maidenhead, Beaconsfield and the surrounding areas. With excellent experience of house extensions, new build houses, garage conversions, school construction projects, staircase installations, loft conversions, listed building works, purpose made joinery, structural openings and tiled roof repairs, gathered over our many years of operation in the building trade. Our customers return to us again and again, and more importantly, trust us, and the quality of our work. Maintenance Services – Our experienced builders offer a range of plasterwork repairs, water heater annual servicing, immersion heaters replacement, blocked pipe & u-bend repairs, home decorating & tiling, plastering, roofing and woodwork. New Builds – We at Ashleigh Contractors, have a wealth of experience in extending and altering houses, having completed a diverse range of home extension projects; ranging from small extensions to complete remodelling and renovation of properties, including adding additional storeys to entire houses. Loft Conversions – Having completed numerous loft conversions, we understand the importance of creating additional living space without encroaching into valuable garden areas. Bathrooms – Our builders know the value of having a bathroom you are proud to show off; and this translates into our outstanding bathroom design and installation, from tiling floors and walls, installing showers and replacing bathroom suites, all our works are completed to the highest of standards. Kitchens – Our team of exceptional building contractors are able to design and install beautiful kitchens, install replacement kitchen work surfaces, provide bespoke joinery services, fit spotlights in lowered ceilings and offer plumbing and electrical services. 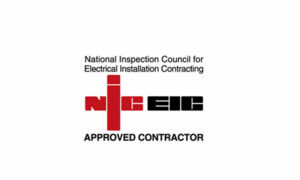 Ashleigh Contractors also provide a range of high-quality Electrical Services and Electricians in Buckinghamshire, Berkshire and Middlesex. We also offer a complete range of building services from our Northampton Building Contractor location. One of our complete property makeover projects that has been carried out was designed by GRAND DESIGNS. 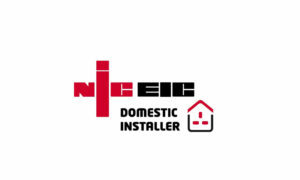 We are a member of the Federation of Small Businesses, a NICEIC Approved Domestic Installer and a NICEIC Approved Contractor. Membership to these bodies provides our customers with piece of mind that their project is in safe and capable hands.